MorixHaruhi. To all the MorixHarui-shippers out there;). Wallpaper and background images in the Host Club - le lycée de la séduction club tagged: haruhi mori ouran. This Host Club - le lycée de la séduction fan art might contain bouquet, corsage, posy, nosegay, foxglove, digitaliques, digitalis, and digitale. AND YOU *points at Haruhi* YOU SO BELONG TO TAMAKI! haruhi just for tamaki! !..not mori!!.. Oh no! When did that happen? No Mori-senpai! 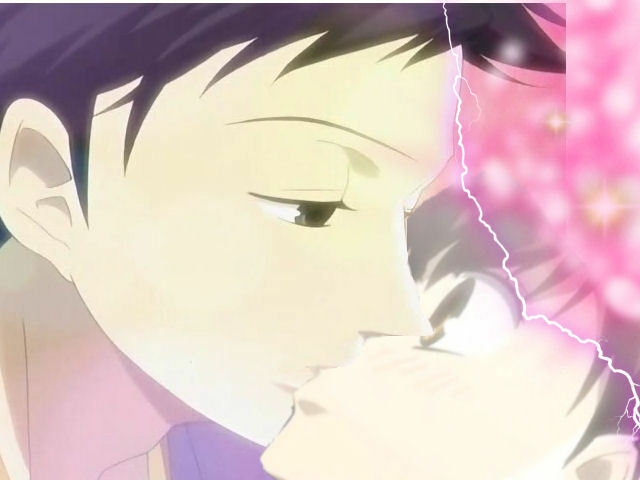 Haruhi belongs to Tamaki!! I Think this is kinda cutee. ofcourse its photo shopped... that doesnt mean we cant add drama to it! !T_T' learn to laugh Magicuser!! oh and i love this anime! i tried watchin it again but it seemed to end so quickly z.z' SO NOW IM READIN THE MANGA INSTEAD!!! That sooo didnt happen and sooo shouldn't. nice pic though either way. (says to Mori) REALLY? REALLY!? just... wow. yukki angel is there a book seiries? i loooooove this show i just started watching it via youtube- Worried i'm becoming a little obsessed. Oh well. Animelove1fan1 dont worry i'll choose a different picture for my icon so we don't get confused. Noo...you have it all wrong. Mori is just for me. LOL jk (although I do love mori sooo much). very very confused.... wat about tamaki!! I don't know what the big deal is about this, Mori and Haruhi fan fiction, besides it's only a fake, but, it's also really cute, I love this fanart. This *so* should have happened! And anyway, according to the creator of Ouran High School Host Club, Bisco Hatori, her favorite pairing is Mori x Haruhi!!! SO THERE!!!!! !